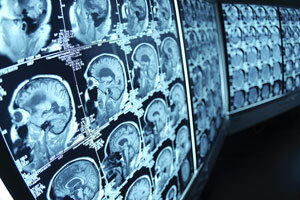 Brain injuries can occur in a variety of ways. When the brain is exposed to trauma the results can be catastrophic. Brain trauma can be caused by automobile accidents, motorcycle collisions, falls that result in the head hitting something, assaults, and sports injuries. These events can cause bruising or internal bleeding inside the skull. The effects can be short term or life-long. In terms of severity brain injuries can be divided into three categories, mild, moderate, and severe. Mild brain injuries usually occur after a concussion (or shaking of the brain). Victims may experience some amnesia, momentary loss of consciousness, or a feeling of being clumsy. Moderate brain injuries usually result in loss of a loss of consciousness that can last for hours after the trauma. Victims may suffer symptoms that manifest themselves cognitively, psychologically, and physically. These impairments can last months or years. Moderate brain injuries require immediate medical care. Severe brain injuries occur when the skull is either penetrated or pushed into the brain causing bruising or tears of the brain tissue. Severe brain trauma can also be caused by bleeding and swelling which places pressure on different parts of the brain. Severe brain injuries can result in a prolonged coma, paralysis, total amnesia and a loss of other cognitive functions. Our office has the knowledge and skills to guide clients and their families though the most difficult types of cases. If you or a family member has suffered a brain injury please contact us today to discuss how we can help.